JISHOU, HUNAN — Here’s a project every science fiction fan should appreciate. 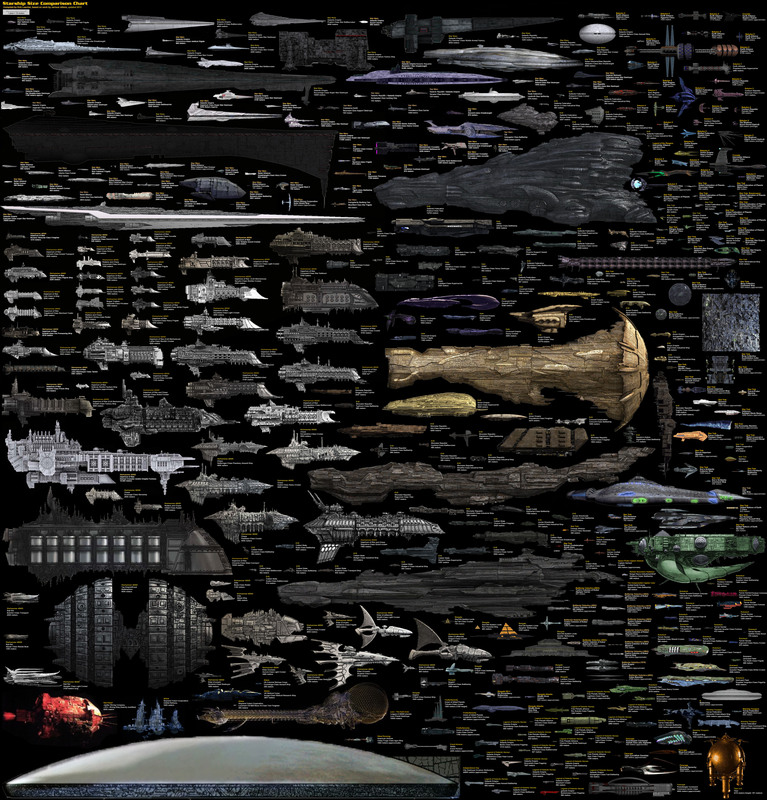 An artist has created a digital poster depicting hundreds of space ships from TV, movies and games — to scale! The creator of this mammoth project is DeviantARTist Dirk Loechel, who did a lot of research to scale the ships as accurately as possible. Spaceship spotters guide. Click to enlarge. Since these are all fictional spacecraft, here are some real-life craft to give you an idea of the size of these things. The International Space Station is about 109 m wide, about 13 m shorter than the USS Defiant from the Star Trek universe. (Find the Defiant-class near the right edge of the poster, about halfway down.) Star Trek’s USS Enterprise is about three times longer, roughly the size of the US Navy supercarrier, the USS Nimitz. The Saturn V rocket used to launch the Apollo spacecraft in the 1960s and ’70s is about as tall as the ISS is wide. As an aside, the Enterprise is pretty puny compared to an Imperial Destroyer of the Star Wars universe.